Remodeling Pains. - Chester County Kitchen and Bath - Your Dream Kitchen is Just a Call Away! Apprehensive about all that’s wrong with your space? 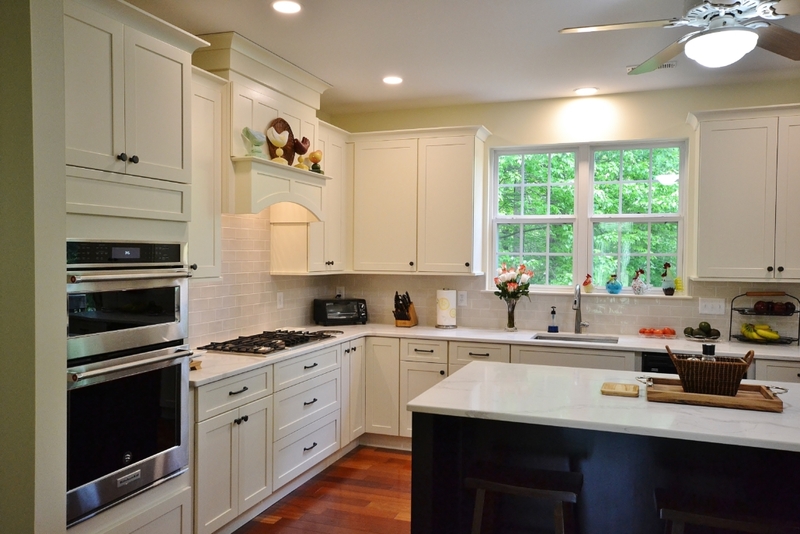 Chester County Kitchen and Bath delivers renovation remedies. Christian Louboutin once said, “High heels are pleasure with pain.” The same can be said of kitchens. How many times have you looked at something that you hate about your kitchen and thought, “I know what I’d like in my dream kitchen, but it would be such a pain to start the fix-it process”? Enter Chester County Kitchen and Bath. With capes (well, tool belts). Superpowers (CAD software). And vision (not x-ray, but still…). While you may ponder major changes to your kitchen and ask, “Where would I begin?”, CCKAB can start the planning, consider all the angles and help you make decisions that mean the difference between a satisfactory change and a super one. What’s to gain by confronting all that pains you about your kitchen (AKA, the center of your home/hub of activity/place where the mealtime magic happens)? Picture what’s most wrong about your space now. On a scale of one to ten, how much do you dislike it? Have you gotten more or less bothered by it over the years? How much longer are you willing to settle? Sometimes, change can be overwhelming. Unlimited choices can make decision-making seem daunting. And often, it feels easier to stay with the familiar that to tiptoe into the unknown. 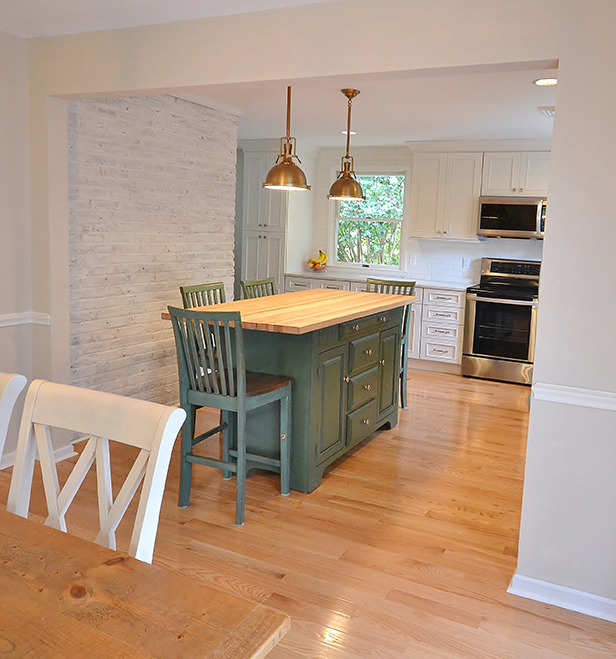 Chester County Kitchen and Bath realizes that renovation concerns can lead to hesitation. But with years of experience, skilled design and construction professionals and an unwavering commitment to client service, you can trust that when you address what is bothering you, we will create a personalized design that turns your woes into wows. PAIN #1 TOO CRAMPED No matter how spot-on your decorating skills, nothing can truly improve a space when the dimensions that you’re working with are too confining. Whether it’s a low ceiling, a curiously-placed wall, crowded cabinetry, a lack of counter space or just too little square footage, a small-sized kitchen can be a huge hindrance to what you would like to accomplish. REMEDY #1 Walls are not a done deal. Depending on where they are (and what they do or don’t do), removing a wall can create a brand-new host of options for your renovation plans. The same goes for countertop configurations and islands. Where your cabinetry is now, and how your countertops are laid out can be changed — often with jaw-dropping results. Many people assume that when you add an island, the kitchen feels smaller. The opposite is actually true. With another focal point (one that happens to add more workable space and the possibilities for cabinets, drawers, outlets and even a wine fridge), your space seems to expand right before your eyes. PAIN #2 TOO DARK Wall color, small windows, a lack of adequate lighting, and even the color of your cabinetry, countertops and flooring can all affect how dark your kitchen appears. And though you may think it resembles a hidden room in Hogwarts, your space probably isn’t as gloomy as it seems. So lighten up! REMEDY #2 Brightening a kitchen is relatively simple. Reimagining a window — its size, shape or location — can bring in loads of natural light. 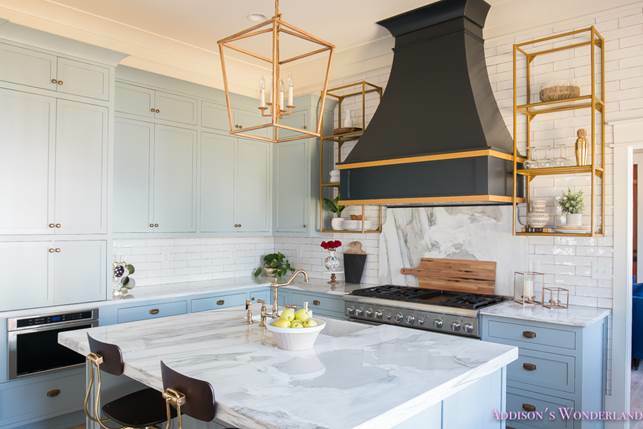 When that’s not an option, recessed lighting, pendant lights and chandeliers can work in concert with a new color palette to add the right amount of light for cooking, prep and gathering areas. PAIN #3 TOO DISORGANIZED Maybe it’s the way your refrigerator opens into your dishwasher door. Or too many cabinets — that seem to fit nothing. It could be little things that make your kitchen seem chaotic, or an overall floor plan that causes meal-making to feel like an obstacle course. REMEDY #3 Although your basic floor plan could be the culprit (which a design professional can easily rethink), oftentimes it’s a feeling of not being able to find or fit things that can create a feeling of disorganization. The good news is, even if you’re not ready for a complete renovation, the options for organizing (and yes, hiding) papers, mail, gadgets, utensils, cookware and even appliances are virtually limitless. Desks or workspaces can fit nicely in the overall scheme of a kitchen design while small TVs or computers can be integrated in a way that keeps them accessible but not obvious. PAIN #4 TOO CLUTTERED In most cases, clutter can really do a number on the overall appearance of your home’s living spaces — especially your kitchen. Sure, we all have lots of parts and pieces to keep track of, but when your piles and stacks become the first thing people see, it’s time to find a place for everything, so everything’s in its place. REMEDY #4 There are drawers and cabinets that create Martha-Stewart-like organization, pull-out racks that keep spices and cartons in line and hidden compartments that hold everything from toys to pets’ water and food dishes. Consider baskets or racks on the inside (or outside) of doors or additional shelving in cabinets. And in a pinch, a wall-mounted organizational system/area — including a large calendar, key rack, charging area for electronics and a digital picture frame — is a quick way to corral your clutter. PAIN #5 LIMITED SEATING Though the kitchen table has been the traditional option for decades, more and more families are rethinking seating in the kitchen. Whether you’d like more floor space, or a more casual option for chowing down, thinking outside the table/chair mindset can free up your creativity and your get-togethers. REMEDY #5 Kitchen islands offer more than additional food prep and storage space. With the right planning, they can also be your rest-stop for quick meals before school or when there are fewer people dining. 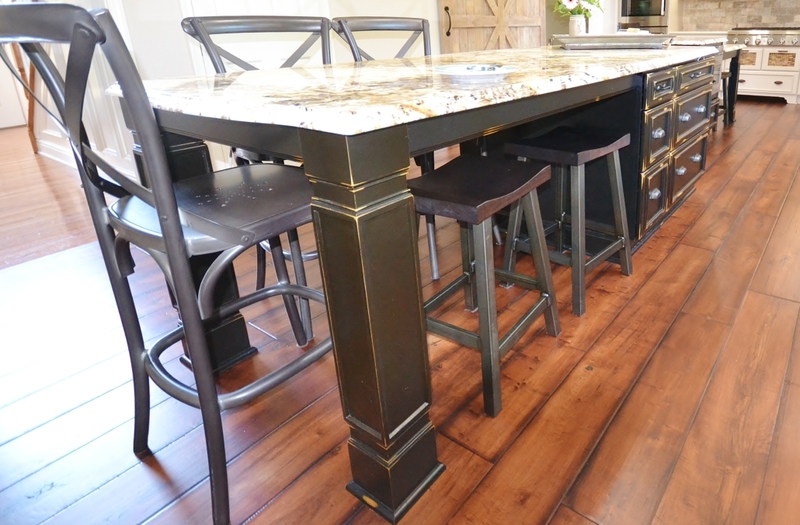 Counter stools come in all styles and heights and can be pushed partially under the island when they’re not being used. Built-in benches are another option when you’d like to make better use of a small wall or create a mix of fixed and movable seating. Just as the annual physical is a to-do many of us put off, addressing the most annoying “pain points” in your kitchen is a necessary evil. So much of what bothers our clients can be easily addressed — it just takes a simple conversation to get the brainstorming-ball rolling! From asking what rubs you the wrong way, to showing you ways others have handled similar issues, Chester County Kitchen and Bath can assess your main problems and build a design -all that works with your lifestyle, taste, timing and budget. Function is key when it comes to time in the kitchen, but so is how you feel when you spend that time. Ready to breathe new life into your failing kitchen? 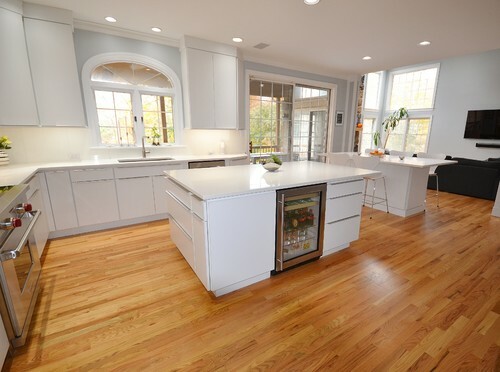 https://www.cckab.com/wp-content/uploads/2018/12/image030.jpg 429 643 Chester County Kitchen & Bath https://www.cckab.com/wp-content/uploads/2019/03/CCKBLogo-01-300x146.png Chester County Kitchen & Bath2019-02-12 14:17:312019-02-12 16:03:25Remodeling Pains. Metallic accents have it all glowin’ on.